Performance Fly Fishing – Because just being there is not enough! The Beginning – A Good Place to Start! Somewhere in the image above is a trout, a very big rainbow trout to be exact! Where, I don’t know. Here’s why. I am standing on a small point jutting out into the lake, looking right into a small reed fringed bay. Through the clear water, I spot a large rainbow trout, cruising between weed beds in search of prey. Suddenly its mouth opens, there is a huge flash of white underwater, as a nymph is inhaled into a cavernous mouth. By now I am stepping towards the fish, anticipating it’s cruise path as I move. At the same time, my eyes remain glued to the fish, I know it’s vital to maintain visual contact. I unhitch the fly, begin stripping line from the reel so I can deliver my cast accurately and quickly once in position. Ready to cast? No. The damn fly line has wrapped over the rod 3-4 times (see photo, you may need to zoom in to the rod tip). This is normally rectified by rotating the fly rod. However I can see via my peripheral vision that the line won’t completely free. I reach forward to free the line, still focusing on the fish. You must be kidding me, the line won’t free! I take the gamble, looking away from the fish for perhaps 2 seconds while I focus on the rod/line and resolve the tangle. I know the risk involved in doing this, when you look back you may not be able to see the fish. However I’ve tried everything else to free the line and it’s this or nothing! Line free, I look back to the fish. It’s not there! I scan the water, I don’t see it. I expand my search, still nothing. I focus deeper in the water, nothing. I wait patiently for the fish to return, big trout often cruise a beat repeatedly, I’ll get another chance I tell myself. 20, 30, 40 minutes nothing. I move on, calling back multiple times during the day, nothing. Sometimes the smallest error makes a huge difference. In this case the difference was a high percentage chance of catching a stunningly marked double figure rainbow trout and not doing so. For me nothing fundamentally new was learned here, I just reinforced that something I already knew was indeed correct! I hope this helps you land that trophy fish rather than endure the pain of lost opportunity! 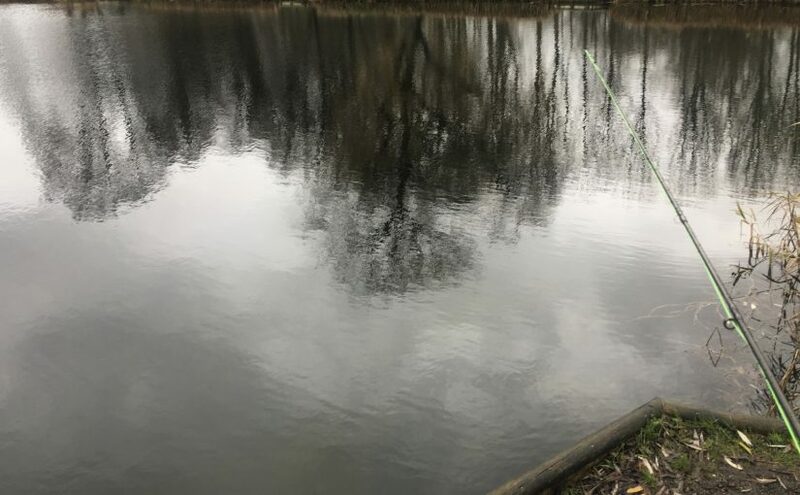 Posted on 20th December 2018 20th December 2018 Tags fly fishingLeave a comment on Getting it Wrong!